An organized bathroom is a MUST. It is the most frequently used room in the house and can quickly become a nasty, disorganized mess. 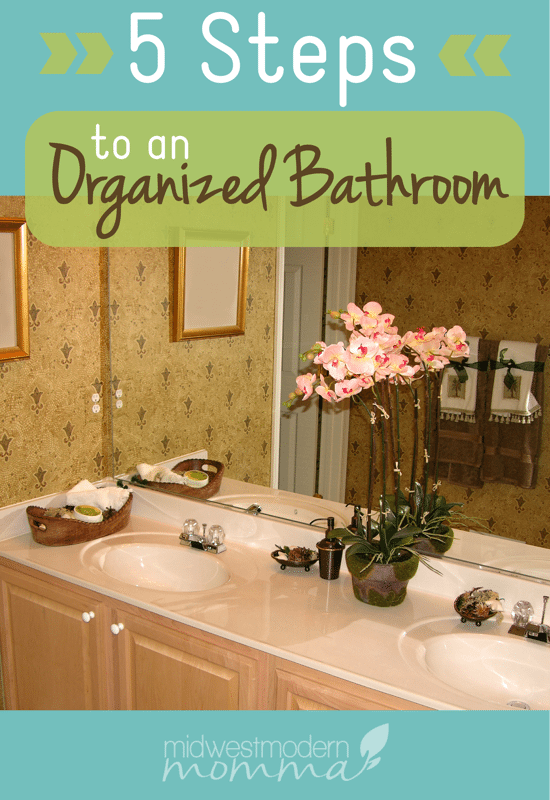 While cleaning the bathroom isn't much fun, organizing it can be! Use these 5 tips for organizing your bathroom & keeping it that way! 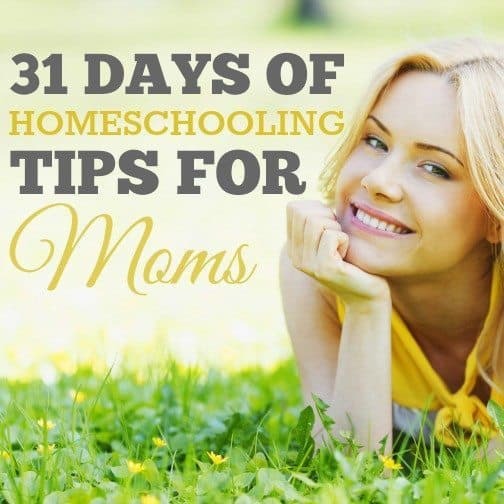 Don't forget to check out the rest of the 31 Days to an Organized Home series! If you are like me, the bathroom isn't a place you want anyone to see looking less than stellar. I'd rather my living rooms be a mess & someone use a clean and tidy bathroom, than have every other room in my house spotless with a messy bathroom. 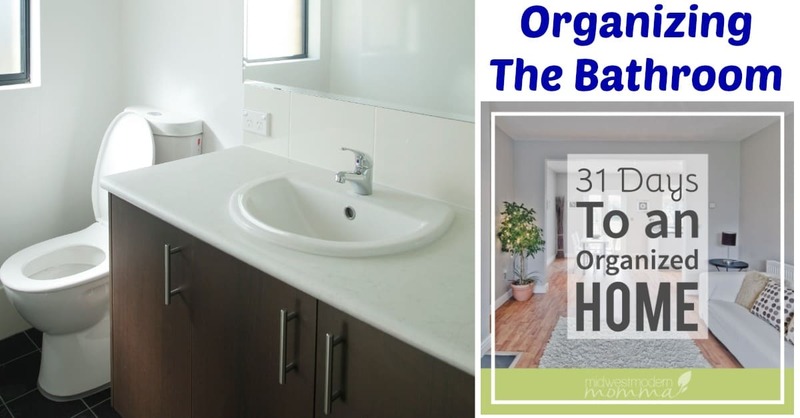 Keeping it organized and reducing the clutter in there also made it much easier to have a clean bathroom with very little work every day. It also makes it much more enjoyable to soak in a relaxing bubble bath with a glass of wine after the kids are in bed when there isn't anything I need to put away or clean in there! So, spend a little time today organizing your bathroom! Pull everything out! Grab everything from the drawers, medicine cabinet, under the vanity, any shelves you have, inside the tub/shower, and even the linen closet. Divide everything into 4 piles: save, trash, donate, and “later”. After you find a home for everything else, you will go through the later pile and either find it a home or throw it away! Scrub everything! While your shelves and cupboards are empty is the perfect time to get your bathroom sparkling. Raking in the Savings has a great guide on deep cleaning the bathroom with a free step-by-step printable! Find a home for everything & put it away! I started with the drawers in my vanity. The top one is for dental supplies: toothbrushes with these nifty covers, homemade mouthwash (not recommended for kids that would swallow since it has essential oils & I can't promote internal use), homemade toothpaste, and fluoride-free floss. The second drawer holds disposable drinking cups for the kids in the middle of the night to cut down on trips downstairs when everyone needs “one more sip of water”. The bottom drawer is the “girl drawer” and holds feminine hygiene products – I'm a huge fan of menstrual cups, but keep other products on hand for friends & sitters.Then I decided what I really needed under the sink and in my linen closet. We have a 3 shelf built-in cupboard as well as a standing towel rack (I got mine at Kmart, but this is a similar one). I decided that it made more sense to move my makeup and beauty products into my bedroom (we'll go over storage for them tomorrow) to free up space in the bathroom and stop the boys from getting into my makeup. I also have a small shelving unit that we store toilet paper and wash clothes on & the cat food is in the bathroom. Decorate it! A pretty bathroom is just more inviting than bare walls. I have a few candles around the old claw foot tub and used mirrors to help decorate the walls. They are function, but also add a decorative feel. We got a toilet paper holder that matches the finish on the tub and faucet fixtures, which helped tie the room together too. Keep it up! By having a place for everything, it's easier to make sure everything is in it's place. Check out my Speed Cleaning Tips to keep your bathroom clean and organized! The bathroom is the one room I get so frustrated with when it comes to organizing and decorating. Going to try your method this weekend and see how it works. Thanks for the tips!